It’s time for one of those posts in my occasional ‘what you need to know to get started’ series – and this time I’m looking at Pilates. First up – let’s talk about how to say it as it’s not that obvious. I had a boss once who called it Pie – lates – as in ‘thing stuffed with steak and kidney’ and ‘not turning up on time’. We all wanted to correct her, but because, erm ‘she’s the boss’, everyone just smiled, nodded and really hoped she never had to interview a Pilates instructor. So, the correct pronunciation (in the UK anyway) is Pi – la – teees. Oh, and if you have to write it down, it always has a capital P! 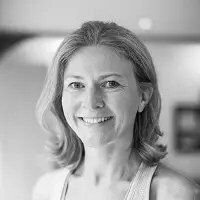 Now let’s get more technical and for this bit I’ve harnessed the wisdom of top instructor Kirsten Harle from The Pilates Suite who has three studios here in the UK. Slight detour …….At this point, Helen has to look up the Wunda Chair as it sounds BRILLIANT. It turns out that it was created by Joseph Pilates himself and, was a kind of hybrid seating area come exercise device. It fell out of favour, but now it’s coming back into fashion.. The seat is attached with springs which let it move up and down and offers resistance – you stand, sit or balance on the seat and rest on the top and do your moves accordingly. It looks pretty hard to me – but apparently it works Wundas (boom, boom, thank you, I’m here all week). Oh and as for those other names – a Reformer looks a bit like a bed, but one with moving parts (that’s one above). Again, it uses springs to offer resistance and you sit, stand or lie on it to move. And if the Reformer is your normal bed, the Cadillac is a four poster – except instead of hanging curtains off the posts, you hang off it – or pull and push things that are attached to it. NYNHB: What do you wish everyone knew before they tried their first class? I also didn’t ask Kirsten to explain What Happens in a Pilates Class – not least as there are a few different types but, most people will start with a basic mat class. In this you’ll spend a lot of the time lying on the floor doing fairly small movements that have big payoffs.These moves will work on tone, flexibility and balance and almost all of them will involve what Pilates tutors called your Powerhouse – the muscles between your lower ribs and your hip bones. You’ll spend a lot of time maintaining control of this Powerhouse by pulling your tummy close to your spine and lifting your pelvic floor. Learning this technique is key to getting good results in Pilates and as such no matter how fit you are, or how much yoga you’ve done, if you’ve never done Pilates before, make sure you start at a class for beginners to learn this correct positioning. One other thing that makes Pilates classes a bit different is that the instructor doesn’t just stay at the front – or at least they shouldn’t. They’ll demonstrate the move but then walk round the class ensuring everyone is in the right position. They might even move you about a bit to make sure you are. Because of this, the smaller the class you choose the better. NYNHB: How many times a week is it best to do Pilates? At this point you might be asking What’s All This Going to Do For My Body? Over to me again for this. Pilates tones the muscles but doesn’t bulk them – think arms like Jennifer Aniston. It improves posture and flattens tummies. On top of this, it’s also good at reducing stress and studies have shown that it can help sleep. Because you develop a very strong core it can also help reduce back pain. You do burn calories doing Pilates but it won’t cause you to shed heap loads of fat – it’s more about preparing the body under the fat! You’re better using a mix of healthy eating, cardio and weight training to shed fat. NYNHB: What helps you get the best toning results? Kirsten: ‘Make each movement small, slow and controlled; even an abdominal curl feels so much harder the smaller the movement, and this takes a lot more body awareness. It also ensures you work the Transverse abdominis (deeper core muscles) as opposed to the Rectus abdominis ‘six pack’ which sit above. The most challenging part of Pilates for a beginner to grasp is the ability to isolate these smaller deeper muscles of the core correctly. This should happen with almost every exercise in Pilates, and it’s a skill that everyone needs to learn. The ability to tune into their body and feel what they are meant to be doing can sometimes take months to really understand. So there you have it – the NYNHB Beginners Guide to Pilates. 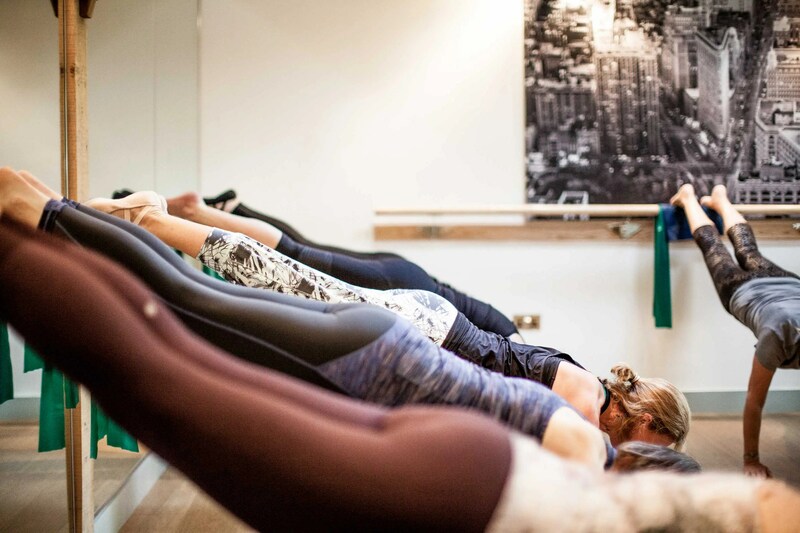 If it’s inspired you to find a class, lucky Surrey types can find Kirsten’s studios in Farnham and Kingston-upon-Thames in Surrey. And this is where you can find out more about her. got any more questions about Pilates? Jot them down below and I’ll see if I can find out the answers. Thank you for explaining Pilates in such an easy-to-understand way! I was napping or living in Japan or something while everyone else hopped on the bandwagon, and have been faking my way through attempts to convert me ever since.